Inventory We are a resale marketplace, not a box office or venue. Ticket prices may exceed face value. This site is not owned by Murat Theater . 502 N. New Jersey St. The Murat Theatre Indianapolis was originally constructed in 1910 and is located at 510 North New Jersey Street in the Old National Centre. The Murat Theatre box office has recently played host to a number of hit traveling Broadway shows like Wicked The Musical, The Lion King, and Jersey Boys. Murat Theatre tickets have included some famous performers like James Taylor, Randy Travis, Chris Rock, Jerry Seinfeld, and more. 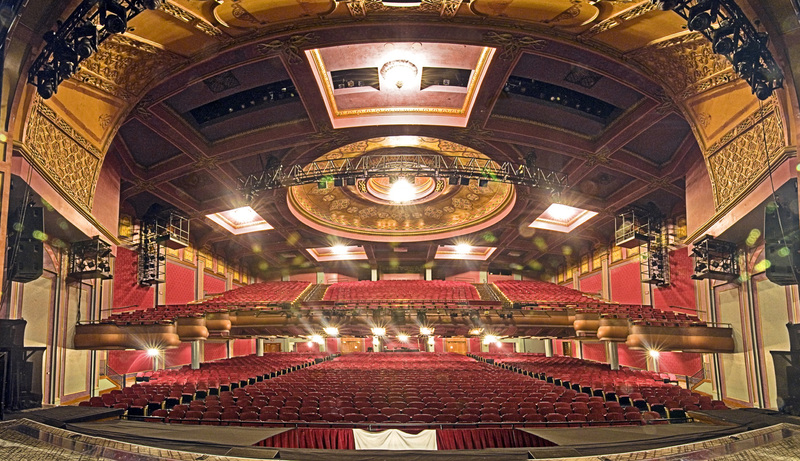 TheatreIndianapolis.com is a privately owned marketing agency that provides customers with access to a large supply and low prices for all Murat Theatre Indianapolis tickets. We are not affiliated with any box office or primary supplier. To purchase all Murat Theatre events simply click on the performance you would like to attend or call at anytime.